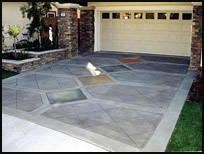 Whatever your budget, it's likely decorative concrete can be a part of your plan. Use the table below to weigh various options for decorative concrete that will fit in your budget. Note that costs shown will vary depending on the size of your project, and the cost for materials and labor in your local area. 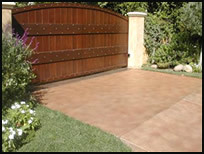 An eye-catching, economical upgrade to plain gray concrete, enhanced by one coloring method or decorative technique. 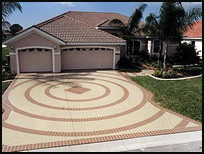 The ultimate decorative concrete surface—an artistic blend of techniques, patterns and coloring mediums, often incorporating hand-applied detailing. Example: Intricate decorative scoring (with multiple patterns and stain colors).